MAC® offers Eddy Current, Electromagnetic, Flux Leakage and Ultrasonic solutions for on- or off-line testing of hex, round and other dimensions. Parts may be submitted for a free evaluation and analysis conducted by MAC’s certified engineers to determine the best NDT option for your application. Typical flaws and conditions that can be detected include cracks, variations in alloy, grade or heat treatment, unwanted inclusions, seam and weld defects as well as some dimensional variations and other conditions. Recommended for Military Ordinance, Automotive, Medical and a variety of other industries. 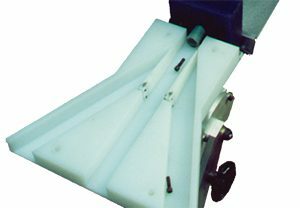 Our experienced Field Engineers can help to integrate your feed mechanisms with MAC testers. 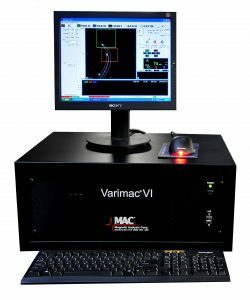 Typical parts sorters and inspection equipment include the Varimac® VI and the Production Comparator. 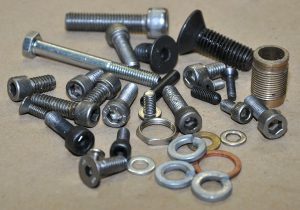 Parts that can be tested include washers, coil springs, bearing races, inner bearings, outer bearings, roller bearings, ball bearings, ball joints, pivot bushings, fasteners, pistons, strut rods, CV joints, expanders, metal gas connectors, piston pins, metal stampings, rivets, nails, screws, clips, threaded inserts, nuts, studs, roller chain plates, bearing pins and rollers, grenades, ordinance shell bodies, ordinance shell bases, medical needles, surgical blades, and other parts as well as tubes, bars, plates and wires. 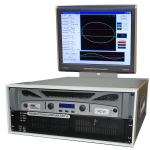 Rapid sorting of ferromagnetic parts with non-destructive testing (NDT).